SCVHistory.com LW2382a | Agua Dulce | Vasquez Rocks, 1941. 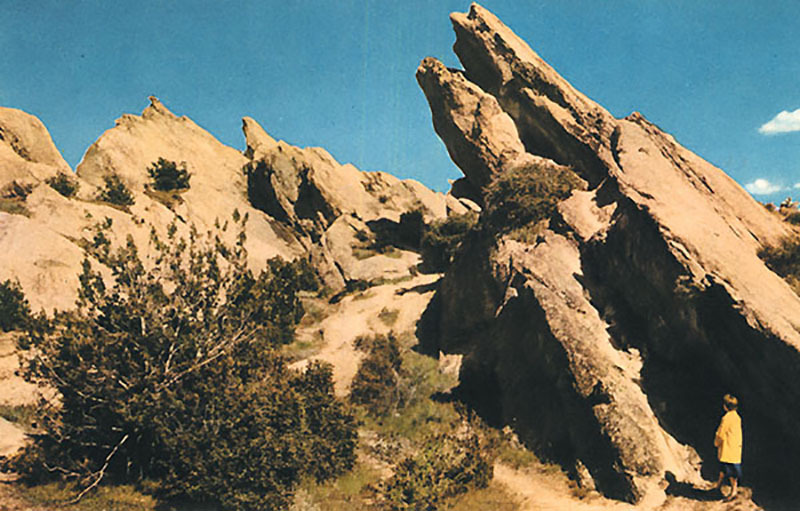 1941 picture postcard of Vasquez Rocks — No. 159 in Union Oil Company's Natural Color Scenes of the West postcard series. The back of the postcard reads, "Vasquez Rocks, California, are named for the notorious bandit who used this location as his hideout. Vasquez was found guilty and hung in 1875. This picturesque scenery may be enjoyed on Highway 6, 55 miles north of Los Angeles."